Linda Spears, the head of the state Department of Children and Families, spoke at a press conference in 2015. The number of children who died from abuse and neglect in Massachusetts fell sharply in 2014, according to a newly released count that defied state predictions and raised questions about whether the drop reflected improved vigilance or just good luck. The Department of Children and Families said the number of deaths from maltreatment fell from 39 in 2013 to 22 in 2014. The agency has not yet compiled child abuse deaths for 2015. Not all the news is good: The 2014 dead included 10 children who had been under state watch at some point before their deaths, suggesting that social workers continue to miss warning signs. In one case, a 12-year-old Leominster boy killed himself in a troubled home where social workers or police had found a chained refrigerator and indications the boy had been beaten. The decreased death toll came at a time when the agency was under intense scrutiny following several high-profile deaths of children under their supervision, including a Fitchburg boy whose body was found beside a highway in early 2014. In response, the Legislature boosted DCF’s budget and social workers started removing more children from homes considered unsafe. They had also placed fewer children in a “lower-risk” category of monitoring that some social workers have said failed to protect children. Officials attributed the high number of reported cases to greater public awareness and increased vigilance by the state. The lower 2014 death toll counters state officials’ predictions. Last year, they had estimated that 2014 numbers would remain elevated, due in part to the region’s opioid epidemic. State officials said they are grateful that fewer children died in 2014 but claimed little credit, saying numbers can vary from year to year. 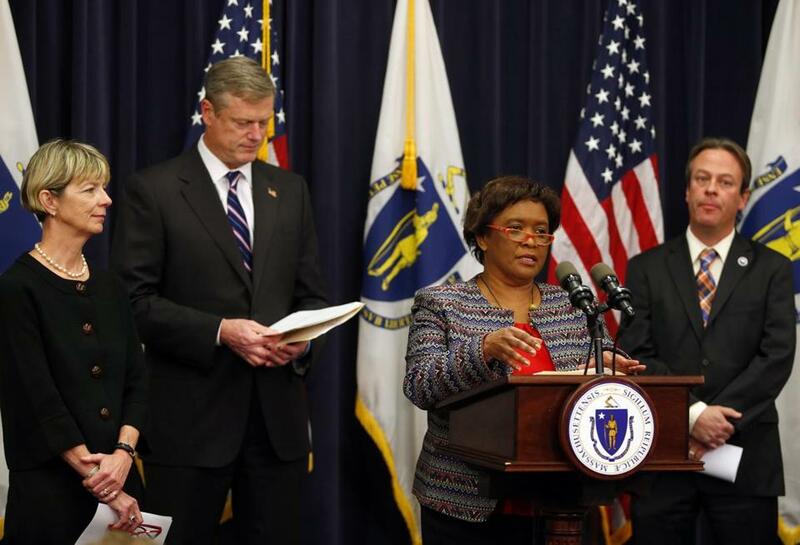 In September, Governor Charlie Baker promised an overhaul of the state’s child welfare system, including better investigations of maltreatment allegations and improved oversight of social workers. “I would suggest to you that it is fortunate, random chance,’’ said Richard Wexler, executive director of the nonprofit, Virginia-based National Coalition for Child Protection Reform. In September, the New England Center for Investigative Reporting revealed that 110 children died of abuse and neglect between 2009 and 2013, about a third of whom had been monitored by DCF. The center obtained the data through public records requests, arguing that federal law requires disclosure of child abuse deaths. The 2014 data reveal new stories of missed opportunities: Nearly half the children who died that year had been in contact with state social workers at some point in their short, troubled lives. DCF attributed the death of the Leominster boy, middle school student Isaiah Climons, to neglect, saying parents did not take “adequate steps” to address their child’s “mental health needs.’’ His mother and stepfather could not be reached. Ellen Sweeney, an attorney for Isaiah’s mother, declined to comment. Before he took his own life, Isaiah made it clear to some that he was contemplating suicide — posting a message on social media observed by school officials and talking to his extended family about his intentions. Jasmin Sepulveda, Isaiah’s older cousin, said social workers who visited the house should have spent more time listening to his concerns. She said he had marks on his wrist and she knew he was cutting himself, a sign that he was calling for help. Two other children on the 2014 fatality list, including a Yarmouth toddler, had been placed in the recently eliminated lower-risk track, which put more emphasis on helping families stay together than on child safety. In November, Baker announced that the state would eliminate the dual system, months after the New England Center for Investigative Reporting revealed that 10 children who had been placed on this risk track were found to have died of abuse and neglect. Lucas Braman of Yarmouth had come under state supervision because of concerns about his mother’s drug use during pregnancy, according to DCF records. He was later turned over to relatives for care and died in February 2014 after being found unresponsive in his crib, wearing a hockey helmet and covered by heavy blankets, DCF said. Sheryl Erb, one of Lucas’s caretakers, declined to comment for this story. “The whole veil of secrecy should be lifted except in the most unusual circumstances,’’ Petit said. The number of children pulled from their homes rose to 6,587 in the year ended Sept. 30, 2014, up more than 20 percent from the previous 12 months, according to DCF. Peter MacKinnon, a DCF workers’ union president, said it was possible that more children have been taken out of bad situations. MacKinnon, who heads Local 509 of the Service Employees International Union, said that the drop in deaths is heartening, but he now worries that too many children are being removed from families that may be safe. The New England Center for Investigative Reporting is an independent, nonprofit investigative reporting newsroom based at Boston University and WGBH News. NECIR interns Shaz Sajadi and Koby Levin contributed to this report. McKim can be reached by e-mail at jmckim@bu.edu or on Twitter at @jbmckim.